Visitation: At First Cutlerville CRC on Monday, October 22, from 6 - 8 pm; and on Tuesday, October 23, from 1 - 1:45 pm. 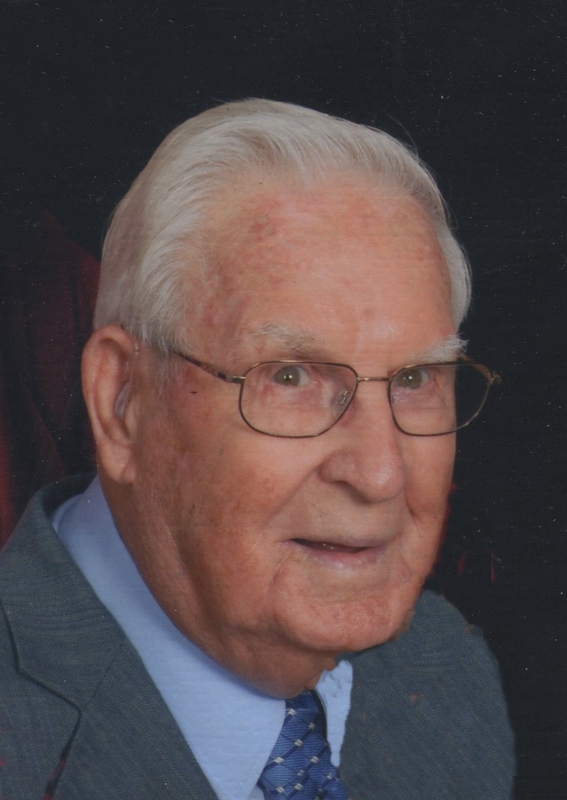 John DeYoung, age 96, of Cutlerville, went to be with his Lord on Sunday, October 21, 2018. He will be lovingly remembered by his wife of 74 years, Loretta; children, Paul (Marilyn) DeYoung, Lois (Ed) Engel, Dale (Sandy) DeYoung, Joel (Beverly) DeYoung, Ivan (Theresa) DeYoung, Beth (Cal) Nagelkirk, Irma (Clayton) Ledy; 21 grandchildren; 34 great grandchildren; sisters-in-law and brothers-in-law, Julia DeYoung, Jennie Hoekstra, James (Jeanette) Lutke, Wilma Johnson, Agnes (Jake) Quist; many nieces and nephews. John was preceded in death by his sister, Nellie (Jay Oeverman) (Chet) Dykstra; brothers, Clarence (Tena) DeYoung, and Adrian DeYoung. Visitation will be held at First Cutlerville Christian Reformed Church, 1425 68th St. SW, on Monday, October 22, from 6 - 8 pm, and on Tuesday, October 23, from 1 - 1:45 pm. The funeral service will begin at 2 pm Tuesday at the church. A World War II Navy veteran, military honors for John will be provided by the Kent County Veterans Honor Guard. Interment will be in Blain Cemetery. Memorial contributions in honor of John may be made to World Renew.